Canada is the second largest oil reserve holder after Saudi Arabia. The province of Alberta leads in the production of oil and natural gas in Canada. Canada is the leader in uranium mining. And uranium is used in nuclear power plants for producing electricity. 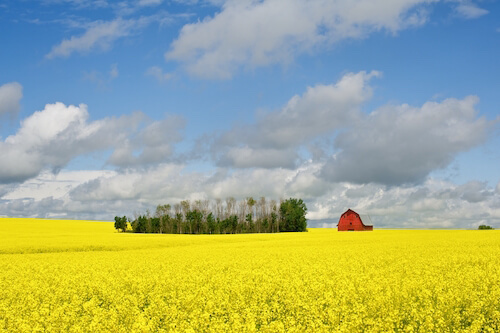 The province of Saskatchewan is the main agricultural province in Canada and grows 45% of Canada's grain such as wheat, canola, flax or rye. Canada is the world leader of Hydro Electricity which uses the power of the water to produce electricity. Canada is second in sawn softwood production after the USA.